Discussion in 'MOC 2019 Challenges' started by EHStudios, Jan 28, 2019. 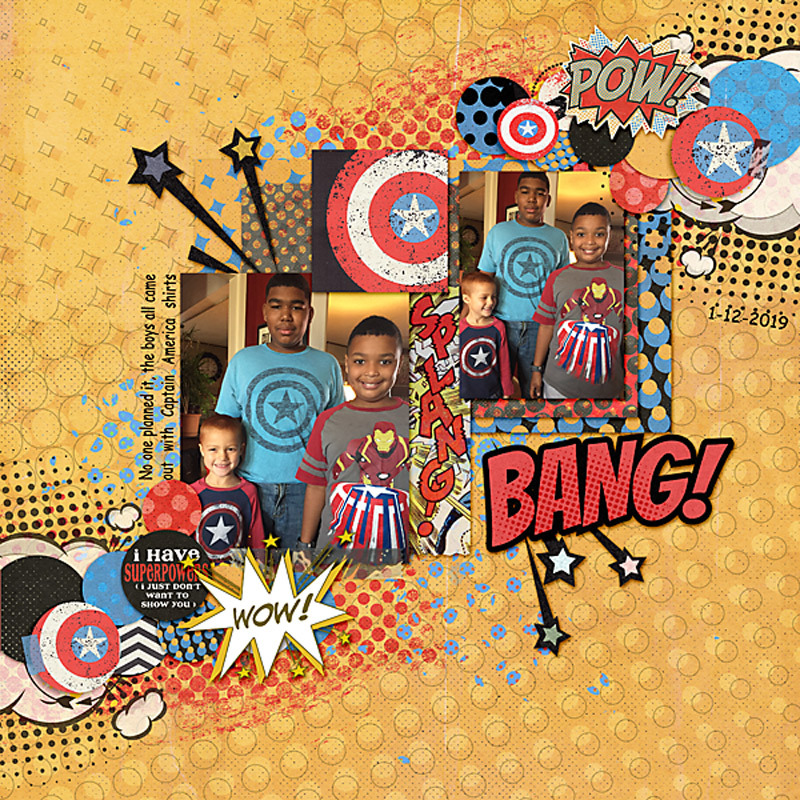 I used Liz's template directly & weaved Sabrina's in between the layers of circles & lowered it to the bottom center. Here's a sample from Anne too! She has Sabrina's front and center & used Liz's twice in small circle clusters at the top & bottom. 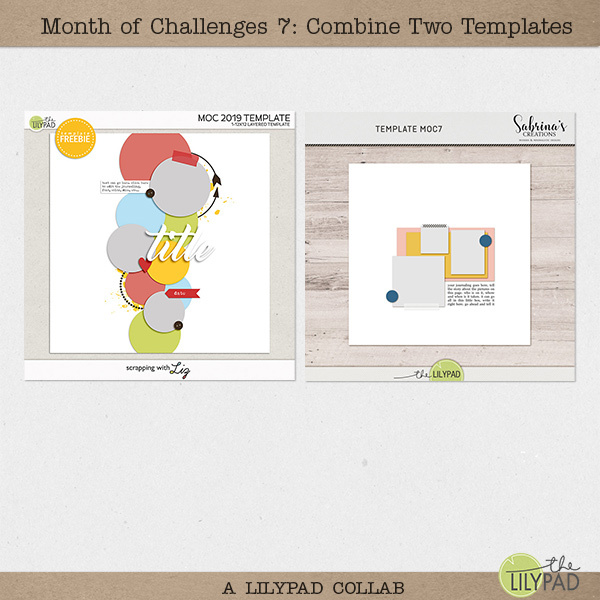 Pages must contain at least 75% current Lilypad product (currently for sale in the store from either permanent designers or guest designers). Have fun!! I can't wait to see all your pages! A-M, crazsquaw, Ga_L and 4 others like this. So far I don't think anyone is having trouble with the merging templates, but in case anyone needs more tips and tricks for doing this, @Dalis has some written instructions in the Learning Pad part of the forum here! Great challenge, I never would have thought to combine templates. Though I have never been a frequent template user, the templates here are creative! Your example is terrific! What a great idea I love this challenge. @EHStudios - Is there a minimum of each template that we need to use? I’m guessing just using one or two bits from one template and the rest from the other wouldn’t really count. However much is needed that I can still recognize as both templates being used and both designers being credited. Wow. This IS a big challenge !!! Nothing hugely imaginative from me I'm afraid, I turned Liz's template landscape and then used the photospots from Sabrina's! Lisa B, EHStudios, lulyg14 and 2 others like this. Cool challenge! I love templates as a starting pint and often use both these designers' templates, but I've never combined templates and would never have though to do circles and squares on the same one! Thanks for the challenge! I'm up for it! Although, it's my 'baby' boy's 18th Birthday tomorrow, so I probably won't be back until Wed, will have plenty of photos to scrap though! mmmbisto, esahin, MamaBee and 12 others like this. I combine templates all the time! Basically because of the first MOC I did had a combine two templates challenge!!! It’s a great way to use your stash! EHStudios and Firstoscartgrouch like this. Lisa B, Joan K, wvsandy and 3 others like this. Super fun! I have a non-stop day in front of me, may not get to play (co-op, basketball game, soccer banquet and meeting g with my oldest!)... But I'm super excited to try it when I do finally get back home! Thank you for the challenge and free templates! Lisa B and EHStudios like this. LIz's templates made small and used twice on top and bottom and sabrinas right in the middle! bjc, threadjungle, djp332 and 3 others like this. Thanks for this challenge! one of my favorite every year! threadjungle, EHStudios, BevG and 1 other person like this. LoveItScrapIt What do you call a three-humped camel? Lisa B, threadjungle and EHStudios like this.